Three Mongolian children, Ganbayar (7 years old), Otgonzul (5 years old) and Tselmuun (3 years old), came to Taiwan and received the surgical treatment. They all had problems with Symbrachydactyly, such as a hand or arm deficiency or without a thumb. All of them raised in economically disadvantaged families. Fortunately, they received the long-term care and financial support from TFCF Mongolia Branch. Otgonzul came to Taiwan and received her first surgery in April 2015, and it was her second trip for reconstructive surgery. 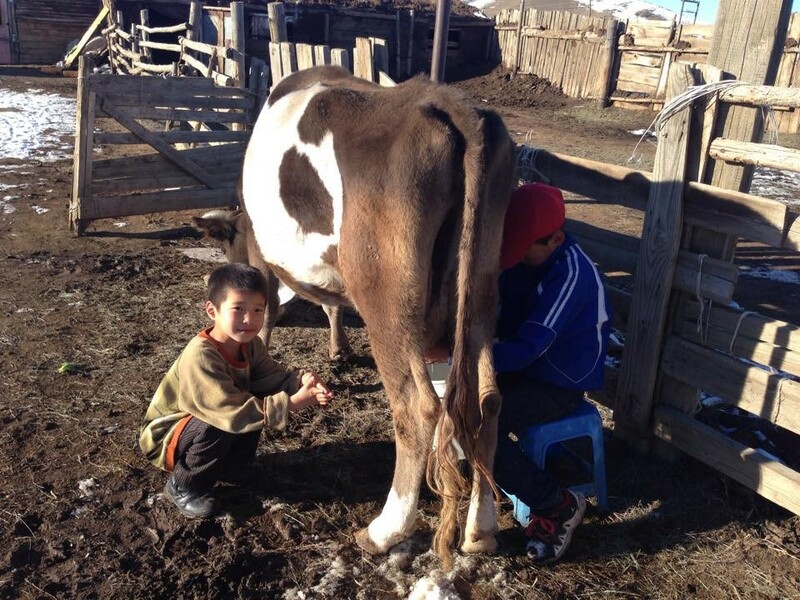 Ganbayar and Tselmuun are living in the remote pastoral areas and they are unable to undergo surgery in Mongolia due to the lack of medical resources. They have to travel overseas for medical treatment and undergo surgery at Taiwan National University Hospital (TNUH). Three children arrived in Taiwan this November and received the surgery by Dr. Ting-Ming Wang in TNUH. TFCF CEO, Betty Ho accompanied sponsors to visit three Mongolian children in the hospital. She mentioned that it’s time for the people in Taiwan to share their support and love timely with the needy children all of the world and make them dreams come true. There are 6 children in Ganbayar’s home, and he is the fifth child in his family. His grandparents are his main caregivers. He had syndactyly when he was born, and his right hand is unable to write and carry normally. Syndactyly is a failure of differentiation in which the fingers fail to separate into individual appendages. He is a Grade 1 Student of Primary School and learns to write by his left hand now. Even writing slowly, he makes his handwriting as legible and neat as possible. He may feel sad that he could not help his family milk a cow. He hopes that he can help milk a cow with both hands, just like what his brother did. There is a palpable excitement in the air as Ganbayar’s sponsor, Ms. Chi Ling Su is going to meet Ganbayar as the first time meeting. “Children in an underdeveloped country might need more attention and assistance. I am very glad to see my sponsored child in Taiwan. I believe that he could receive surgical treatment and work towards improving quality of his life in the future.” Ms. Su said. Dr. Wang said that congenital hand disorders can vary widely, and some hand differences need treatment in the early months or years after birth. Due to the lack of medical devices and technology in Mongolia, the medical team in Taiwan will provide the best medical care and assistance to Mongolian congenital disabled children. Three Mongolian children’s parents would like to thank Taiwanese parents who agreed to swap the operation schedule with them and speed up their operation schedule. Taiwanese parents have showed their selfless love on them and they were touched and commended their courtesy. This has made them deeply feel that Taiwan is a great country with love. According to the 2014 statistics of Mongolia, the number of congenital disabled children was 23,418, accounting for 0.007 percent of the total population. TFCF Mongolia Branch supported children among them, and work with Mongolia children’s hospitals and formed medical teams to organize free clinics for local children living in four remote districts of Mongolia since 2010 and has served 4,312 children for 6 years. Ms. Ho pointed out that congenital disabled children in Mongolia may need more help from us due to wealth and income inequality, the lack of medical resources and technologies in Mongolia. It did cost a lot by travelling overseas for medical treatment; however, we believe that children could change their quality of life once to boost children's health at the early stage. The road ahead will be long and difficult, but we will keep going for children and continue to support more needy children and give them a better healthy life. The current number of sponsored children in Mongolia through TFCF is 9,447 and it’s expected to increase to 10,500 in 2016. We would like to invite people to lend a helping hand, and share love with people across race and boundaries. To help Mongolia needy children with the normal life and hope in the future, you may contact TFCF foreign sponsorship department or donation hotline: (04) 22061234 ext. 157.